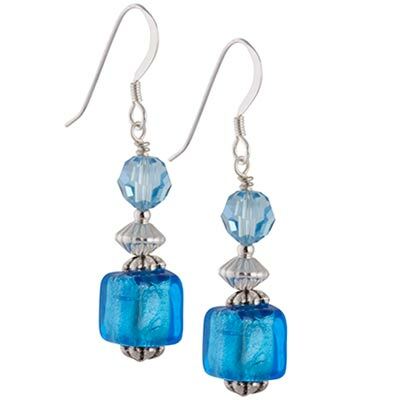 A vibrant aqua glass is layered over sterling silver foil to create these beautiful Murano glass cubes. These earrings feature sterling silver earwires and are accented with genuine Swarovski crystals. Approximately 1 1/2 inches in length.